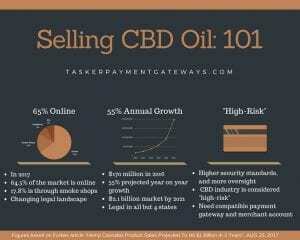 Selling CBD oil online 101: which payment gateways are best? We are happy to say we have reliable payment gateways and credit card processing recommendations for CBD oil website owners looking to accept sales online. If you are looking to sell CBD or hemp oil products on Shopify, WooCommerce, BigCommerce or any other major platform, we can help. The CBD industry changes rapidly, so please visit our Tips & News CBD section for updates. Historically, the market was notoriously difficult, but now we can recommend fast approval, low-cost CBD payment gateways to website owners looking to kick-start their businesses with an affordable payment gateway. We specialize in helping businesses like yours, whether your shopping cart and site builder is a WordPress & WooCommerce, Shopify, or any one of hundreds of others. Regarding CBD there was always one significant, difficult requirement. HISTORY. You needed history to get an account, and you could not build a history without an account. If you were already online and selling for six months before an account was shut down- and you had a low return rate and low to no chargebacks, then we can probably could have helped you find an affordable CBD solution. If you were a start-up or used a site builder that restricts your payment gateway options, then there were not many options. Until now. Contact us any time to start accepting credit cards on your CBD site – even if you are a start-up. We at Tasker Payment Gateways LLC can help both new and established online CBD businesses with high-risk compatible payment gateways like NMI, or Authorize.Net. If you have a solid CBD business and just lost your processing, it’s important for you to know that a payment gateway is only compatible with CBD if it is set up properly. To be sure you are set up with the correct merchant account on the back end can be a challenge. This is where we step in, to help guide you and to answer whatever questions you may have. Simply contact us using the form below to get started, or to ask us any specific questions you might have. If you are ready to get back up and accepting payments for your established CBD site, you can contact us today using the form below. If you are just getting started and simply want to learn more about selling CBD, please continue reading below the contact form. CBD oil stands for Cannabidiol oil. Also referred to as hemp oil, it is generally extracted from the hemp version of the Cannabis plant. The association between cannabis and marijuana is very strong, but there is a distinct difference. Hemp and marijuana are two different plants which come from the same plant family; Cannabis. While the marijuana variety contains a significant amount of THC and is for either recreational or medicinal use, hemp has a vast diversity of application and contains only trace amounts of THC (less than 0.3%). THC is the active ingredient in the plant’s recreational form caused known as “marijuana.” Because hemp does not contain enough THC, it cannot create this recreational effect, but owing to its proponents, CBD oil still has many valuable medical and health benefits. This is because the human body has what’s been named the “endocannabinoid system” which was first discussed by researchers studying the effects of cannabis on the human body. Hopefully, that’s enough of a description to help you realize that CBD Oil is distinctly different from recreational marijuana. We encourage you to learn more about CBD. Knowing your product is important. One trusted, and thorough resource is the US National Center for Biotechnology Information, which has a great article you can read. It goes through its limitations, but also its usage, preclinical studies, clinical trials, and potentials. This article will enable you to go into your industry with confidence in your product. CBD products can include any number of industries. From tinctures to skin care lotions, pet products, home goods, textiles, fragrant oil, and more. CBD Oil is one of the most versatile products to have recently hit the market and with the overall change in attitude towards cannabis, in general, it’s no wonder this industry is blowing up into hundreds of millions of dollars so quickly. Tinctures are highly common product types and are a very basic type of product. While there are brands that add flavoring to their tincture products, this product type is commonly one of the purest, and it is usually found without much-added flavor. Concentrates are, of course, a very potent product type, with high CBD content. It is also most likely by far to be without any added flavor. The potency and lack of added flavor make this product much more likely to be appealing to a more experienced customer. Capsules are simple to take and have set amounts of CBD. The product usually looks similar to some supplements which most people are familiar with, and combined with the set amounts of CBD is a product less experienced customers might be interested in. Topicals can take the form of a variety of different products. In this group of products, we find skincare lotions, lip balms, creams, and more. These products are commonly associated with skin care, anti-aging, or even pain relief in some cases. Due to the high diversity of specific products, it’s very important to indicate clearly what your product is for, and why. It is also important to ensure that the claims you make about your product are valid. For product claims, we advise you do independent research and read the resource we mentioned from the US National Center of Biotechnology. Sprays are the easiest product types for your customer to use. Light, small, and easily consumed, it is a popular and familiar product for experienced and inexperienced customers alike. Vapes are, not surprisingly, a popular choice these days as vaping, in general, is still in a strong growth period. With this type of product, you are focusing on your customer target group, and you might find that they are ready to buy sooner than other groups unfamiliar with CBD oil products. If you are currently selling, or plan on selling, CBD oil you need to consult a qualified attorney that understands CBD laws and e-commerce. According to this helpful page from the National Council of State Legislatures, CBD is currently legal to sell in all but four states. With the vast majority of the country legalizing medical and or recreational marijuana, those last four will probably be changing their laws in the future. While the industry is promising, we encourage you to get qualified legal counsel and double check all your local and state laws before selling CBD or any other hemp or cannabis related product. After all, at the end of the day, you and you alone are responsible for obeying local and state laws! First and foremost, as with all businesses, you will need to register your company. While we advise you to speak to an accountant before settling, you should consider an LLC setup as its Limited Liability is well suited for industries that are considered high-risk. Before you can start selling and processing payments, you need to ensure that you have all the relevant paperwork in order. Especially making sure to have a Tax ID/EIN from the IRS. Without that step, you will be dead in the water. You’ve registered your company; the necessary paperwork is in order; now what? Now it’s time to go online! There are plenty of platforms where you can get a domain name settled. GoDaddy, WhoIs, and WordPress are examples of where to start setting up your online presence. WordPress is highly popular, and their site indicates that it powers 29% of the internet. The interface and usability of WordPress make them a highly popular choice. From there, you can choose to set up themes and templates to get started or get customized layouts. This freedom of choice is great, and it is also relatively easy to use and maneuver. Although it is worth reminding you that while having an online presence and doing your online marketing right is important, you also should be wary of what claims you make about your products online. Be sure to use the resource we mentioned under ”What is CBD exactly?” and do further research before making claims as to the features and attributes of your product. If you are in doubt, it is always useful to reach out and seek expert advice. You’ve just gotten your CBD merchant account shut down; you know how stressful that can be. Now the real work begins. CBD Oil and many other industries require more oversight and security than your standard payment gateway or traditional merchant account. This is why it is referred to as “high-risk” in the e-commerce industry. Don’t worry though, because this is where we at Tasker Payment Gateways LLC can help you step by step to get your established e-commerce business back up and running. Feel free to contact us, and we will offer our assistance with no upfront fees or any obligations sign up for services. We will take the time to educate you and help you integrate your site so you can start selling again as soon as possible. To get you up and running, you will need not only a payment gateway to connect to your shopping cart but also an appropriate merchant account that is suited for selling CBD Oil. 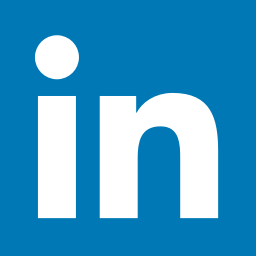 We have an extensive network of contacts and can find the best fit for your needs. Get in touch, and we’ll happily help you start your CBD e-commerce business, generally with no upfront fees. If you are already selling, or are struggling to continue to sell CBD Oil because of payment gateway issues, we may have solutions for you. Often merchants who are having difficulties after being declined or shut down by a major payment gateway contact us looking for solutions. We can assist site owners who have processing history by matching them up with one of our trusted payment gateway providers who will meet your needs and recommend a credit card processor that has experience working with businesses like yours. REMINDER. We offer payment gateways and credit card processing recommendations. If you are selling CBD, you need to consult a qualified attorney. We do not offer legal advice, but wan can help you accept credit cards.